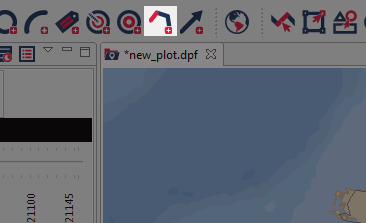 Newly created planning tracks are created in the centre of the current plot. So, start off by navigating to the part of the world where you roughly want your vessel tracks to be. You'll make more detailed changes to the track location once the track is created. 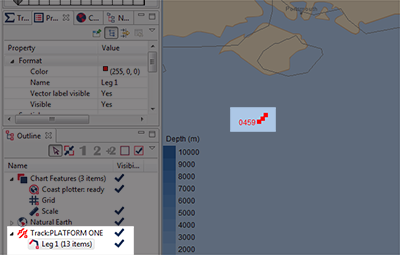 Next, you must select "Create Track Segment" from Debrief's Drawing Toolbar, or the Drawing menu. Next you'll be invited to select which parent track to add the track segment to. 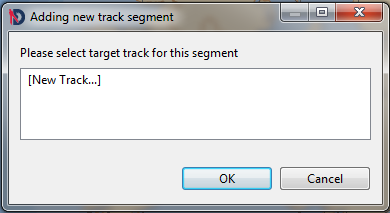 In this instance, we don't have an existing track, so select "[New Track...]" from the dialog. Clearly if you were extending an existing planning track you'd select it. Your track will now appear on the screen, and also in the layer manager.